The fifth Dana Point ArtFest (DP ArtFest) will feature over 80 unique artist booths. The DP ArtFest will take place on Del Prado between Ruby Lantern and Old Golden Lantern with sidewalk art displays. This event will be held Sunday, October 1st, 2017 from 10 a.m. to 5 p.m. We are seeking applications from artists of all fine art mediums and genres including (but not limited to) sculpture, ceramics, art glass, jewelry, painting, drawing, photography, woodworking, and metalwork (no crafts). Artists, both amateur and professional, are invited to submit an application for consideration. Our selection committee is looking for unique original artwork of their own design and execution. The selection committee reviews artwork based on specific artistic criteria emphasizing high levels of creativity and technical competence. 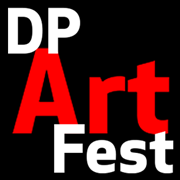 The DP ArtFest strives to ensure that visitors have access to the best fine art experience possible. If you have been a participant in the Dana Point Lantern District ART WALK in the past, this does not guarantee you a spot every time. First, all applicants must present samples of their work by photo or website. Please submit up to 3 JPEG digital images of artwork that are a strong representation of your work to dpartfest@gmail.com. Artists will be notified of their acceptance within a few weeks after applying. Second, upon acceptance, all artists will receive an email confirming their acceptance with a link to register. Artists must register and fill out the application and waiver acknowledgement by the registration link emailed to them. Space is restricted and will be assigned on a first come, first serve basis. Artists’ space will be $25 per space. The selection committee determines artist space locations. Requests can be made but we cannot guarantee requests will be fulfilled. Reservations and assignments will be confirmed approximately two weeks prior to the event. Online registration closes Sunday, September 24th, 2017. We publicize this event through traditional media such as Laguna Beach Art Magazine (free in Orange County & Palm Springs), OC Register & Dana Point Times newspapers. We also have a new social media portion to help spread the word and promote the artists. We will also be featuring the artist name and website link on our webpage. Your space registration is not transferable. If you cannot attend please call us so we may fill your space. All items must be suitable for family viewing. Final assignments will be confirmed approximately two weeks prior to the event.